I don’t know if it is the change in weather but my hair which usually behaves quite well, started giving me nightmares. Hair strands on my pillow, rubber bands, combs and what not were worrying me to death. My major hair concerns have always been dryness and frizz but the recent addition of hair fall just made things worse. 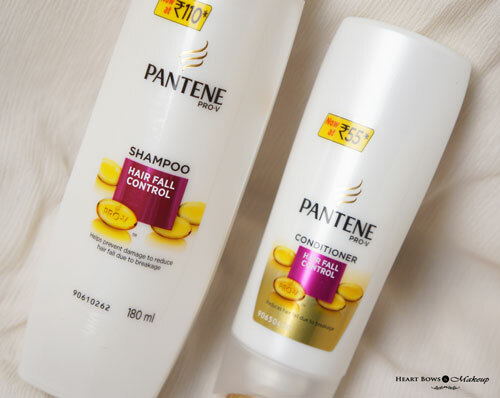 Just like a knight in shining armour, Blogadda sent me the New Pantene Hair Fall Control Shampoo & Conditioner recently. 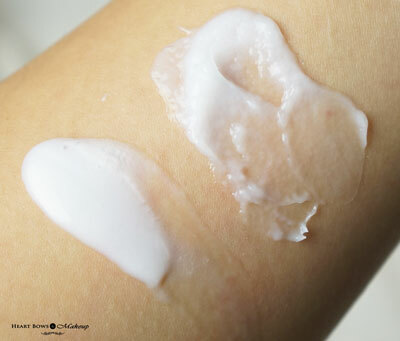 We usually think that affordable products do not work well, but this range totally changed my mind! Read on for the detailed review. The Blogadda team also sent me a competitor brand’s shampoo and conditioner to compare the difference. While the brand’s name was kept under wraps, but I could instantly identify it through the scent since I had used it before. This duo like the last time I used, did nothing for my hair. Instead, the shampoo is quite harsh and it always makes my colored hair dull and dry. The conditioner was decent but it did nothing to control my frizz. I soon switched to the best ever Pantene and took up the #14DayChallenge. 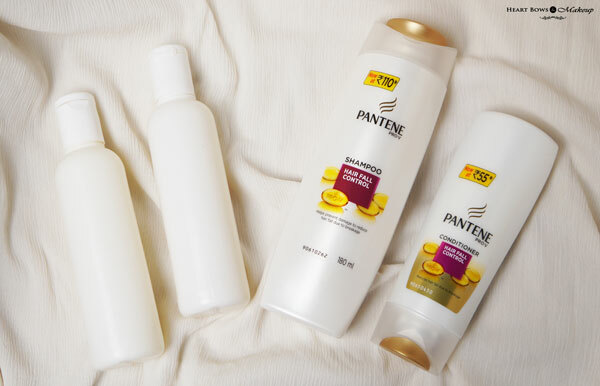 The new Pantene Pro V Shampoo & Conditioner is packaged in simple and opaque white bottles with a flip open cap They have all the necessary details mentioned on it. The bottles do not leak hence you can carry the smaller sizes for travel. 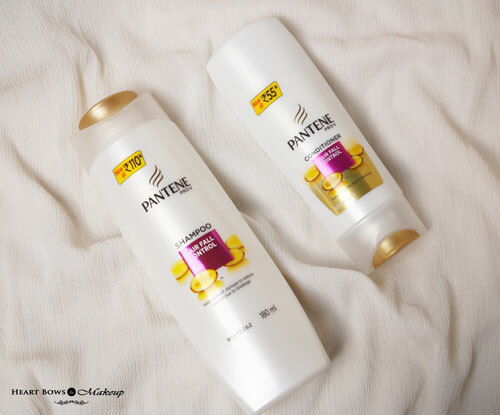 Pantene Pro V Hairfall Control Shampoo has a creamy consistency which lathers well. Since I have thick and dry hair I do not wash my hair often hence I prefer shampoos that clean my hair effectively. It does contain SLS but is gentle on the scalp and does not dry out my hair. The shampoo has a very beautiful pleasant scent which I prefer over many high end haircare products. 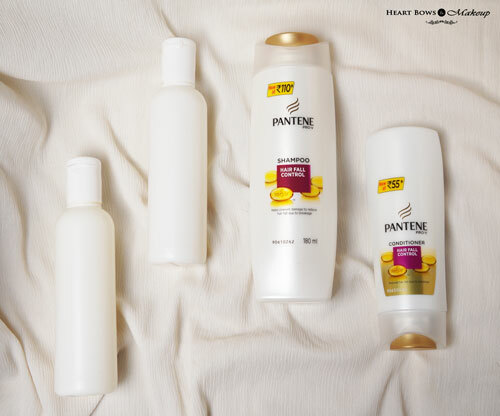 The Pantene Pro V Hairfall Control Conditioner is the star as it prevents hair fall due to breakage. It has a thick consistency and one should always apply a conditioner only to the mid length and ends to avoid weighing it down. I’ve noticed that ever since I started using this combo for my hair, I rarely have any tangles after wash. The conditioner not only makes my hair feel super soft but it also helps in controlling frizz. HBM Recommendation: I never expected to see any difference in just 14 days but the new Pantene definitely delivers on its claims. My hair fall due to breakage has reduced significantly and my hair feels very silky and smooth. We always tend to think that one needs to spend alot on good quality products but this range has definitely changed my mind. It is definitely one of the best affordable shampoo-conditioner for hair fall in India. 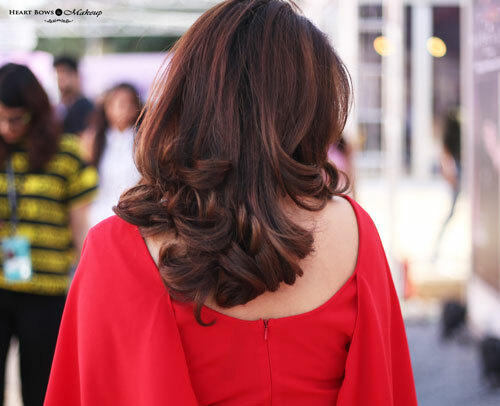 This post is in collaboration with BlogAdda as part of the Pantene India #14DayChallenge.